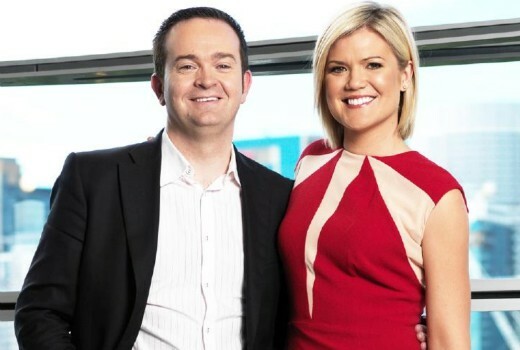 Former Studio 10 executive producer Rob McKnight has settled his pay dispute with Network TEN. McKnight, who was fired from the morning show in November 2017 had been seeking 13 weeks pay he claims he was owed. After mediation failed the matter was due to go to court on November 1, but Mediaweek today reports it has now been settled out of court. McKnight tells TV Tonight those details are confidential, but in recent weeks he has spilled on backstage drama from his time on the show via a podcast, TV Blackbox. McKnight is now Head of Video at News Corp after indicating his time in television was over. Great. Now hopefully McKnight can move on and stop criticising Ten every waking minute of every day. Every comment McKnight made following his dismissal seemed to indicate he wouldn’t walk away without a fight for his entitlements. I have no doubt Ten caved and payed him what he was owed for fear of the bad press they would’ve received had this made it to court. Good for him. I guess we’ll never know how much Denise Drysdale had to drink the day the brussel sprouts flew. And has dished the dirt on the show in that podcast, sour grapes because he was sacked! He is quick to knock Studio 10 at every opportunity,he tells us everything that happened behind the scenes which should have remained confidential if he really loved the hard working people who still work on the show! His time in TV is over, yet he’s launched a podcast about just that!? You don’t have to work in TV to talk about it. And Rob would be very well connected and have enormous insight into the business even if he’s no longer working in it.